Colorado Christmas Tree Farms: choose-and-cut Christmas trees, Tree lots with pre-cut trees, stands, sleigh rides, hay rides and related winter events and fun! 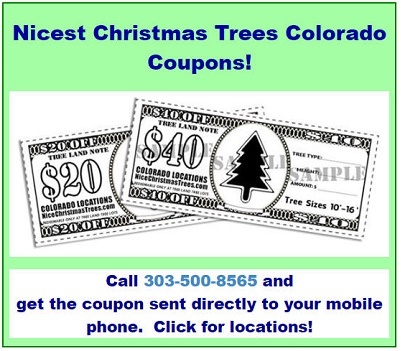 Looking for a local Christmas tree farm, tree lot, sleigh ride, Santa visits, reindeer or hayride in Colorado? Just select your area in the list or map below. NOTE: BE SURE TO CALL THE FARMS BEFORE YOU GO! Click here for permits to cut in National and state forests. 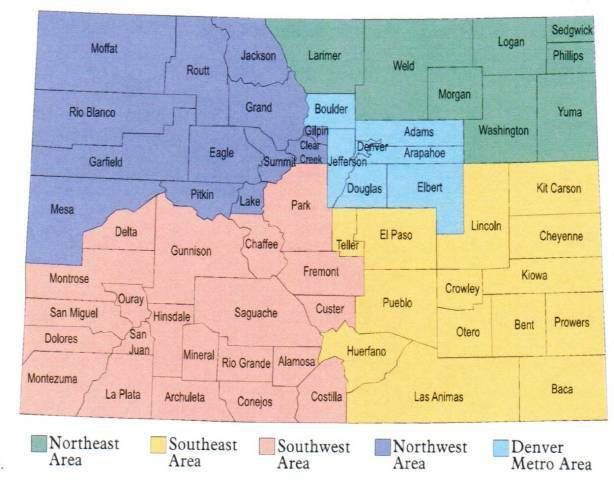 Want to cut your own from a national forest in Colorado? Routt National Forest - 2008 Permits are $10 per tree with a maximum of five per household. Have your permit with you when cutting a tree, to be secured to the tree at the time of cutting. San Juan National Forest - A 2008 permit, which costs $8, allows you to cut one tree up to 20 feet tall for personal use. The permits expire on December 31. White River National Forest - 2008 Permits are $10 per tree and may be purchased at the WRNF offices or the BLM Field Office in Glenwood Springs, Monday through Friday during normal business hours. For additional information, please contact the White River National Forest in Carbondale at 970-963-2266 or the Glenwood Springs BLM Field Office at 970-947-2800. Do you know of any Christmas tree farms or other special Christmas and winter events in Colorado? Please tell me about them - Click here to write to me!